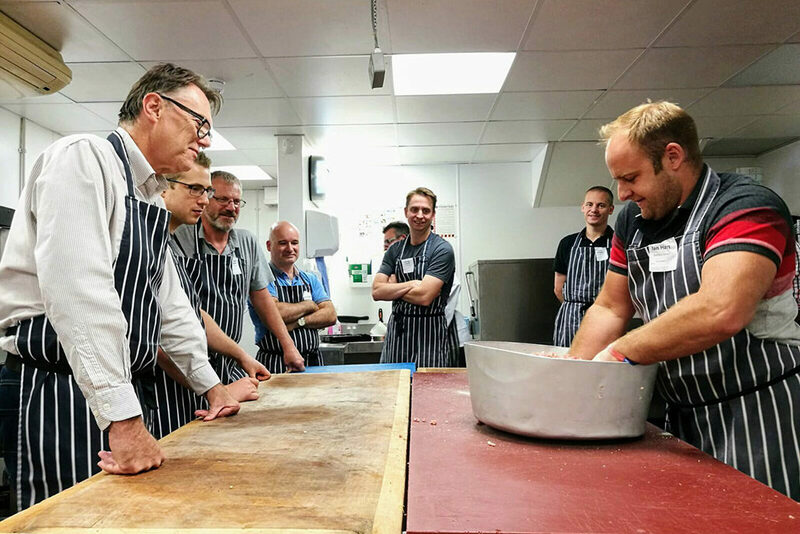 Aubrey Allen’s butchery school is the perfect gift for the ‘foodie’ in your life…or treat yourself! All the meat used is yours to take away. We will provide you with overalls and tools, and you are more than welcome to bring your own knives for the knife sharpening tutorial. Sounds like fun? That’s what we want it to be…informal, fun and entertaining in a relaxed environment…a great learning experience. And if you can’t make it, what a fantastically unusual present for someone you know! 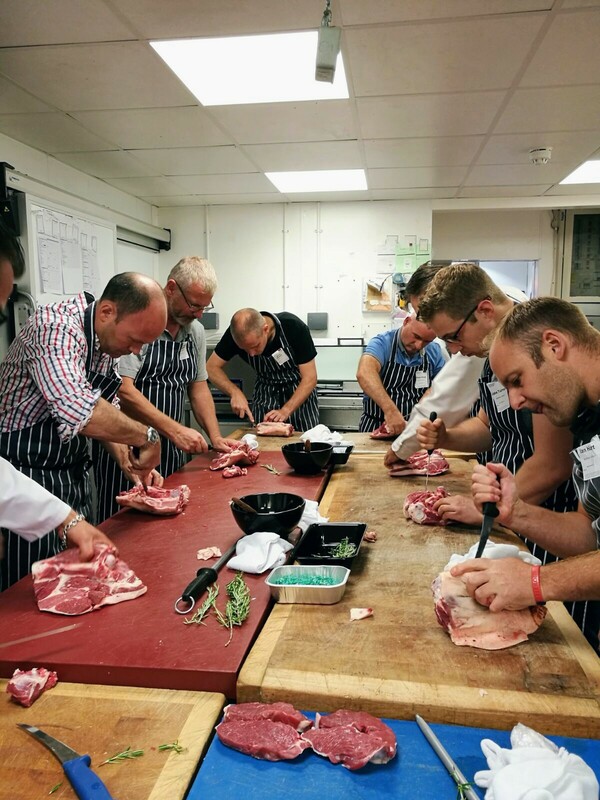 See a review of one of our very first Butchery Schools here. Places are limited to just eight people, book your place at £130 per person. Payment is required on booking. You can transfer your booking to another person or postpone to the next class providing you give five working days’ notice. 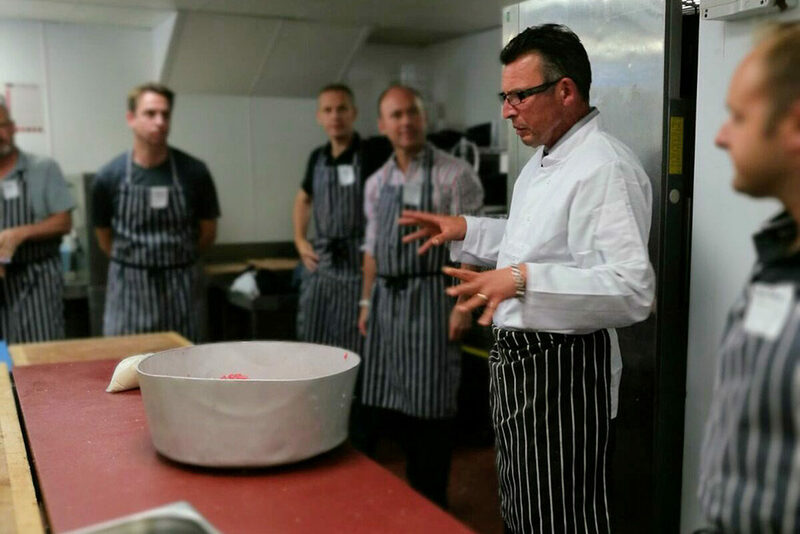 To find out when our next Butchery School is head to the news and events page or get in touch to find out more. “Thank you all for a lovely, informative evening. The shop is beautiful and I learnt loads. You are all so committed and enthusiastic about what you do”.